If you have never been to a WordCamp, I highly recommend it. This will be my second time attending Phoenix WordCamp and I couldn’t be more excited. For $50 you get access to some of the best and brightest WordPress developers and designers for the weekend. The best part is that they have separate tracks tailored to your individual interest. So, beginning users, advanced users, developers, marketers, plugin developers, and content marketers can all benefit from attending Phoenix WordCamp. I like to attend for networking with other WordPress professionals in my area and to get ideas and inspiration from veteran WordPress developers. I consider myself to be an intermediate WordPress developer who is always interested in learning more about WordPress and this is the perfect venue to do just that. Are you attending Phoenix WordCamp 2014? If so, what sessions are you most looking forward to? WordCamp Phoenix is a non-profit event, led by a diverse group of volunteers. 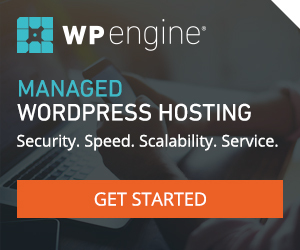 This conference brings together technology professionals, enthusiasts, vendors and customers to connect with each other and learn about WordPress. This event is made possible with the support and expertise of the local Phoenix WordPress community, sponsors, amazing speakers who lend their time and talents and a large pool of volunteers and their generous support.